Did Barclays benefit from bailout measures? 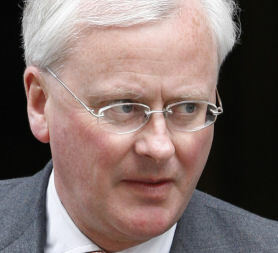 Barclays and HSBC have announced profits of almost £3bn each and Barclays chief executive John Varley admits they gained indirectly from government funding. Krishnan Guru-Murthy reports. Neither Barclays or HSBC received money directly from the government in the same way Northern Rock and RBS were helped. But they have managed to deliver profits in despite the financial problems within their industry. Mr Varley said: "There are two ways I would say the system as a whole benefited generically. "One was in the injection of liquidity undertaken by the Bank of England and a new structure put in place in March 2008. "And the other was the making available of guarantees from government for funding undertaken by banks. "It is important to recognise that in each case the banks were encouraged to use these new structures that were put in place and we did. "It is also important to recognise that we were required and we did pay a price for these things but I'm not trivialising the importance of the intervention. It was important. "The other thing I would say is that if two of our big banks here in the United Kingdom had gone down, that would have been catastrophic and they moved quickly to ensure that didn't happen."